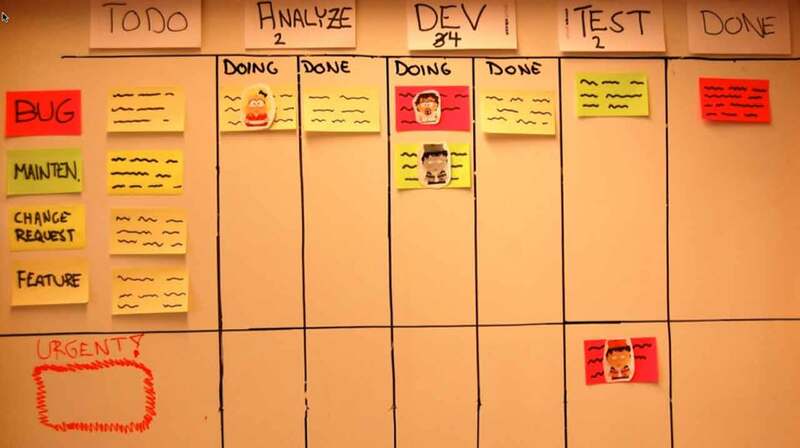 It’s a well-known fact that physical Scrum Boards provide many benefits over their electronic counterparts. With physical boards, the current sprint state is transparently visible to anybody in the team and to the stakeholders. As a team member, you are no longer required to explain to someone what exactly the team is focusing on right now, as anyone can look at the physical board at any point of time. 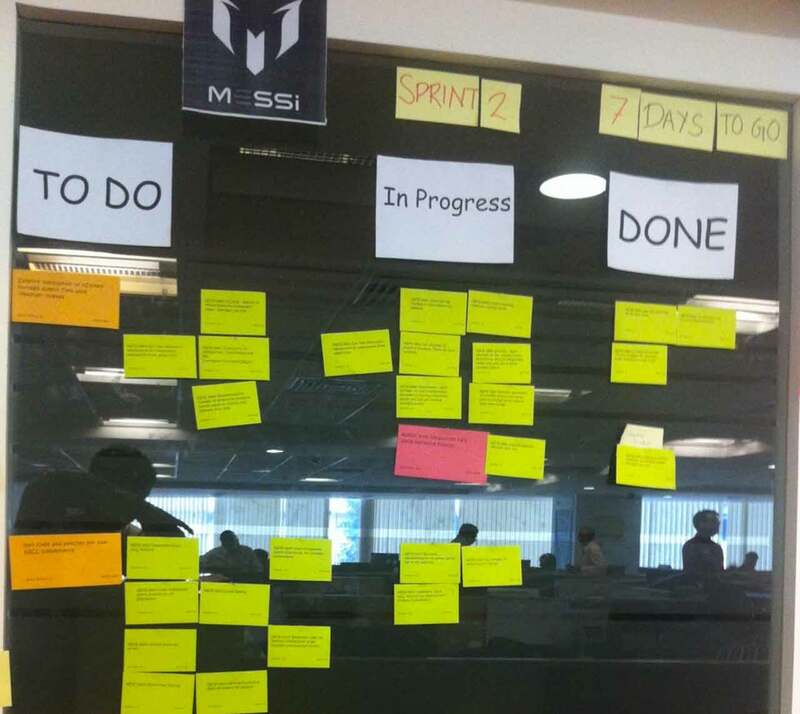 Also, during standup, story-card and sprint progress gets more attention than individual progress. You can set up your physical board the way you want, and you don’t have to work around the limitations of any electronic tool. I would need an entire other blog post to continue listing the advantages of the physical Scrum Board. However, I’d like to focus instead on how to overcome the practical issues of setting up a physical Scrum board. Believe it or not, it can sometimes be difficult just to obtain the right stationary for index cards. Also, teams sometimes hesitate to hand-write cards since not everyone’s handwriting is legible. While working on a practical (and cheaper) solution, I thought of automatically printing index cards on colored A4 paper through Jira excel export of the sprint backlog and Windows-Word mail-merge feature. As you can see, the result turned out to be awesome! Here is a video describing how I did it. Printing index cards happens only at the beginning of the sprint. In case you encounter new subtasks or bugs, team members must hand-write and paste the index cards. The team may think that now they have to maintain two boards (i.e., electronic and physical) simultaneously. That’s not the case, as updating physical cards can only happen during standup, which shouldn’t be an issue to anybody. Depending upon your needs, you can use whatever index card template you want. To paste the paper index cards, we used Blu-Tack, which is available almost everywhere.